IconMaker is a pretty cool application that allows you to quickly create custom icons right from your device. It turns images into nice shiny, rounded icons. Personally, this is an awesome application for me. I create icons all the time and now, instead of opening Photoshop on my computer and creating an icon, I can create it right on my iPhone! Ok, I have to admit that I am mysteriously intrigued by people who can twist and intertwine balloons without popping them. Not only that but, I’m always surprised at how fairly representative they are of the real thing. As much as I am intrigued by balloon animals, I can tell you that my two and half year old son is even more so than I am! 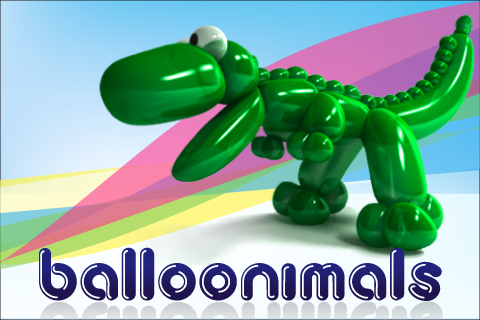 If you also have kids you love balloon animals… you will want to check out Balloonimals.